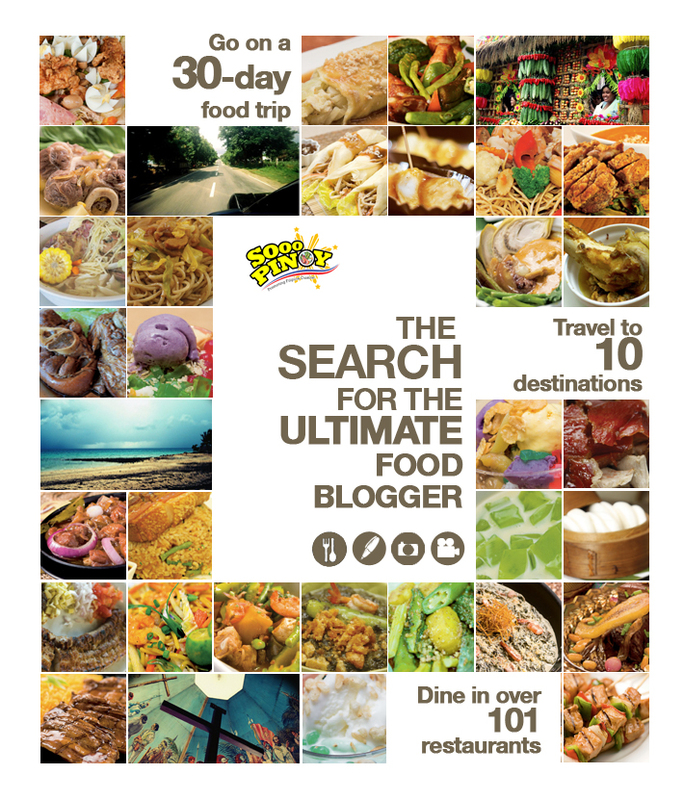 After having a successful launch of Sooo Pinoy's Facebook community page (www.facebook.com/SoooPinoy), we go on to The Search for the Ultimate Sooo Pinoy Blogger and we are tapping the blogging community to promote Filipino Cuisine. Composed of three rounds, the Search will measure the bloggers' writing skills and their ability to engage their readers as well. Each round is designed to test the bloggers' creative juices and his/her passion for the advocacy. Ultimately the winning blogger should be able to encourage Pinoys to discover and rediscover our cultural identity through Filipino cuisine. To join, bloggers must submit an entry for round 1, a blog article that explains why they deserve to be the Ultimate Food Blogger. All entries must be received before October 24. Entries will be judged according to creativity, quality of the write-up, and popularity among readers. Only those who pass the first round will continue to rounds 2 and 3 in the hope of becoming the Sooo Pinoy Ultimate Food Blogger. Those who want to join may visit www.facebook.com/SoooPinoy to see the detailed mechanics. 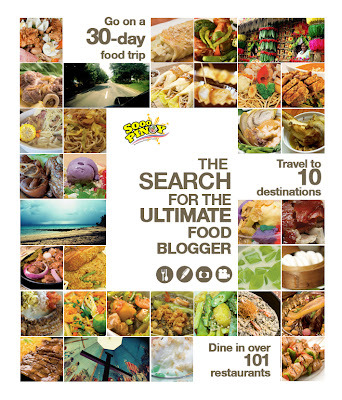 So have you got what it takes to the Ultimate Sooo Pinoy Food Blogger? Join now! Wow, I think I'll join my food blog http://www.reymondjo-ann.com/ this blog talks about food taste and recipe. thanks for the info.